Last week, on the eve of their exams, two students were evicted from their hostels at this elite law school in Hyderabad, after they made social media posts alleging sexual harassment by a professor, and administrative complicity in shielding him. In conversations with a member of GroundXero they discussed their experiences and the campus climate more broadly. Apoorva Yarabahalli and Snigdha Jayakrishnan, hailing from Karnataka and Kerala respectively, are 4th year BA LLB students at Symbiosis Law School, 50kms south of Hyderabad. Last week news broke that after they made a post on social media about Asst. Professor Srinivas Methuku and accused him of “constant ogling and causing discomfort,” they were evicted from their hostels. They published a joint statement on 28th October, via social media, describing their experiences in detail. Over the course of telephonic conversations starting 27th October and one meeting on the 31st, they laid out a disturbing story of campus climate, initiation rituals, how complaints of sexual harassment are dealt with by the administration, the surveillance and control over students, and the targeted vilification faced by them. Based on these discussions, this article works through the story of what they are facing. Scene 1: Residential campus. 5 year degree. If students wish to leave campus at any point in the day or night, for however long, they need, for every separate instance, an “out-pass”, issued after an e-mail from parents, and two levels of administrative approval. In conversation with GX, Snigdha pointed out that firstly it can be clearly seen she is only standing by there. Secondly, Apoorva had booked tickets to go home, her parent had emailed, but the administration in their infinite wisdom claimed it was a fake email, and refused to sign an out-pass. Scene 3: What is sexual harassment? 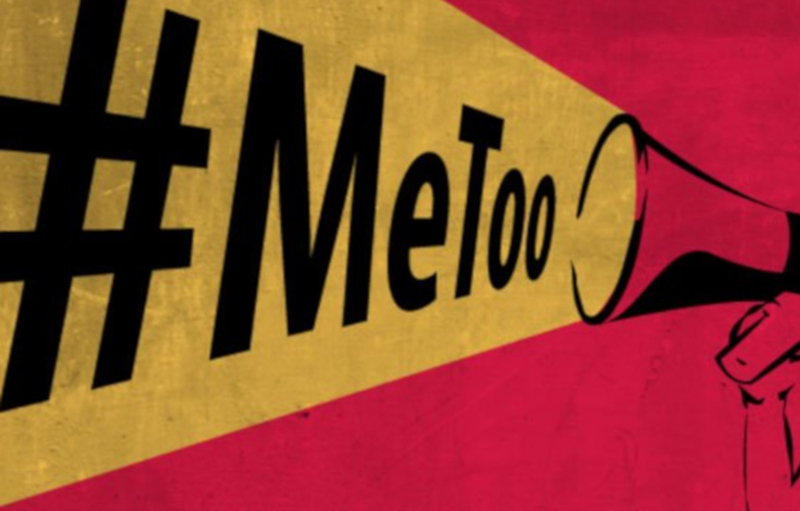 In conversation with GX, Apoorva and Snigdha spoke of hearing different experiences of sexual harassment over the last couple of years, how even their understanding has grown in the process since they arrived on campus, and more so recently from reading the various discussions that have surfaced as part of the #metoo movement. They spoke of how little discussion there is of sexual harassment on campus – there are no sensitisation programmes for students, staff or faculty; and no cell or body set up by the administration to encourage thinking about sexual practices and gender norms (though a gender sensitisation cell exists on paper, Apoorva said). In the process, even students don’t learn what they can refuse, for instance often normalising their own painful sexual experiences. This creates, they argued, a very difficult environment for students being able to call out harassment when they experience or witness it, and support survivors. The administration actually creates hurdles for women to themselves come together, think with and support each other. There are no political organisations on campus – party affiliated or otherwise – and there are strict university policies on that front, making the administration’s anti-democratic character explicit: “DMC 18: Organisation and Event Registration: A student or a group of students shall not form any organization, society, or organize any event or collect any fund or subscription without the specific written permission of the University.” And it is indeed because the two of them were part of a process of different women coming together and feeling comfortable to discuss their experiences, they argue they are being targeted by the administration – to isolate them, and serve exemplary punishment to deter any collectivising efforts. In effect, if successful, that would again turn the conversation away from Prof. Methuku and the campus climate, to a question of two women and their “indiscipline”. So what is the campus climate like? Among other things, we talked of hazing rituals, called “roasting.” These are supposed to be “ice-breakers”, they said, and once coded in those terms (and not as ”ragging,” which is illegal) are conducted with the blessings of the administration. In the course of these “roastings”, and amongst its various stages, some freshers are called upon to come on stage and are asked questions by a “jury” of seniors. Often these questions are about their sexual experiences, which can be very humiliating for a 17 or 18 year old in front of a few hundred faces in the audience, with whom they will be stuck on campus for ages now. There have been different people, they said, who have mostly stayed away from campus gatherings and activities after bitter experiences at that point. Predictably, these initiating rituals are also inflected by a variety of other factors. There’s class: given the very elite student body of Symbiosis, people will remark on the class-status of someone from a middle-class family. There’s caste: while they haven’t personally been the targets of this, they spoke of how people would ask as part of introductions whether one is from the “General category” – a code for knowing who is from a Scheduled Caste, Scheduled Tribe or Other Backward Class background. And with sexual humour in the air, they talked of homophobia and transphobia marking frequent tropes. If the allegation is about staring at students’ breasts, it is often heard – itna to chalta hay, itneka kya karenge, this is not sexual harassment, and so on. Countering such arguments, Apoorva and Snigdha laid out very clearly how power operates through such coercive gazes, using the particular example of Prof. Methuku, about whom they have been writing. They alleged that he would use various ruses to prolong conversation. For example, a student arrived late for an exam, and had to meet him before being allowed to enter (in his capacity as head of the examinations department), and at that point therefore there was already a power equation of apologia at work – in those circumstances he prolonged the conversation before excusing her, all the while staring at her chest. Apoorva spoke of how different women would wear their bags in front or otherwise try to guard themselves from his gaze if needing to meet him for something. Since there doesn’t appear to have been one, this section could have been left vacant. I’ll leave you with two Facebook posts by Snigdha and Apoorva, describing their version of what the process was like. The first post is a joint statement by Apoorva and Snigdha, laying out the long trajectory of developments from their letter to the ministry, to their eviction. The second is a Facebook post by Snigdha describing how the Internal Complaints Committee invited complaints against Prof. Methuku, and bizarrely announced the same day as the deadline for filing complaints! Scene 5: But what did the other side say? Aka, the administration’s vilification campaign. Early in this article was linked a pro-administration video that has been circulating. That aside, the administration has proceeded in its targeting of the two individual students over a variety of other fora. Strikingly, there is currently a prominent note that greets anyone who visits the university website, which details the university’s allegations against the two. Members of the administration have addressed the morning assembly of students – and we share a voice clip purportedly of Dr Sukhvinder Singh, Officiating Director of Symbiosis, and Dr M.S. Shejul, Registrar, speaking at that event, which was recorded by a student present. GX has accessed a further four-page press release by the administration, which includes personal information such as their grades. Aside from these, Apoorva also spoke of a whisper campaign being encouraged by the administration, saying they are mentally ill. She laid out how such whisper campaigns go hand in hand with an actual lack of support for mental health on campus – there is no on-campus counsellor. And to go off-campus there is the whole “out-pass” business, for which one would have to state where one is headed, which if it relates to a serial harasser who the administration defends, one may not be willing to divulge! As can be seen from the video, audio and text, the administration has launched an all-out vilification campaign against two young students, who have come to study there so far from home. Keeping students imprisoned within campus, without the democratic right to form associations, and limiting their ability to relate to organisations outside, allows the administration great power to isolate students. While this is a broader problem, it is also related to the privatisation of universities in India, whereby we are seeing new universities mushrooming with very little oversight, creating increasingly authoritarian structures on campus and fostering systemic abuse. So it is not surprising that while Hyderabad has a long history of legal activism, hardly a whiff of that appears to have made it to this campus, and nor are students being prepared to relate to such work. These private universities are very often gouging parents of their money, and seeking to prepare obedient people for the market and state. The Symbiosis administration is now taking the route of instigating students against the two of them, Snigdha said, by arguing, amongst other things, that their social media posts have hurt the university’s reputation, and students’ chances of getting jobs will thereby take a hit. The administration has gone the range from releasing CCTV images to their academic scores to their attendance records – all of course without their permission. There is something unnervingly scary about an administration that looks through your social media, and includes screenshots from it in a kitschy video targeted specifically to defame you – ending with the image of a collective shouting “Go back, Apoorva!”. Less than a week before their seventh semester exams (there are a total of 10 semesters in their 5 year course), they were evicted from their hostels with a notice that gave them a few hours to clear out. GX has seen a copy of this notice, clearly requiring them to leave on the day it was served. Since exams are on campus too, the uncertainty about whether they would be allowed to appear for them continued through the weekend. On Monday the Director sent an email allowing them to appear for their scheduled exams on Wednesday and Thursday, likely yielding to pressure from the media and otherwise. The students had also earlier approached the Telangana State Human Rights Commission, and subsequently the People’s Union for Civil Liberties filed on their behalf. However, that is not the end of the story. They were not allowed into campus to write, but were sent to two separate locations far away to do so. After they were evicted from the hostel, they found temporary accommodation in Hyderabad, about 55 kms north of campus. Snigdha had to write her exams by herself at a centre 10 kms south of campus, so about 65 kms away from where she was staying. On the other hand, Apoorva was luckily allocated a centre just a few kilometres away from where she was staying in Hyderabad, though that is a place 55 kms away from campus. Why are two women such a threat to the administration, that they fear letting them onto campus just to write their exams, and feel the need to vindictively disperse their exam centres in faraway places? The answer perhaps lies in the fact that despite this very uphill battle for Apoorva and Snigdha, and the deep costs personally incurred, their activism appears to have already brought immense pressure on the administration, and borne some results. After the Symbiosis administration’s knee-jerk authoritarianism expressed itself in the eviction of the two students last week, this week news broke that they had suspended Prof. Methuku, pending investigation. Apoorva has also been served a caveat petition – which means that if she takes legal action against Symbiosis, a notice will go to them first, before any court processes are set in motion. In other words, they appear to be fearing legal action, and are trying to save their backs. Yet, with the exams done, the question remains, what next? Will something change for the two of them to be allowed back into campus and at least resume classes? Even if that happens, where will they stay? Will the authorities take any action against Prof Methuku, or just ease him back into the system after a cooling-off period? What about the campus climate? Will broader mechanisms be put in place to handle sexual harassment allegations and sensitive campus members? Will members of the administration face any repercussions for their targeted attacks against two students who dared to speak out and organise?